Way back in January, on this very website, we covered the scariest movies according to their Wikipedia page plot summaries. To say the least, the article sparked a lively discussion. Hordes of anonymous Internet denizens were shocked, horrified, appalled and most of all confused, steadfastly incapable of understanding why an adult human would judge a film on its Wikipedia page plot summary instead of just, you know, watching it. And I get it. I get it, guys. I'm with you. In fact, in the name of solidarity, I'd like to publicly acknowledge that there are Wikipedia page plot summaries of horror movies that (gasp) aren't even scary! I know! I feel like we're getting somewhere, everybody. I feel like we just had a breakthrough in group. Here are ten that could maybe use a 3 a.m. edit or two by a bored computer nerd in Wyoming. A free reminder to those gracious folk who genuinely edit Wikipedia pages with the intended benefit of improving people's lives and not just for the humor in adding yourself as a famous resident of a random town in North Carolina for an insignificant and dubious world record: You have to be able to at least write coherently, if not with pizzazz. And man, does "The Haunting" ever lose me one paragraph into its plot summary. Lili Taylor's mom dies and her sister hates her for no reason but also BOOM phone call about an insomnia study (she was an insomniac?) but actually it's a crazy dude looking to scare people annnnnd no longer interested, sorry. I'll never know that Owen Wilson was decapitated by a ghost in paragraph four, because I've stopped reading. Stephen King's "Thinner" is all over the place, as Stephen King movies often are ("It" made the "Scariest" list because Tim Curry as a murderous clown was horrifying to me as a six year-old/is horrifying to me now, and no overdone plot was going to put a halt to that). To be fair, there's no real formula for making the description of an obese man slowly losing weight until he dies exceedingly creepy to read, but it's not just that — there's too much other random nothingness in the plot summary for it to be in any way terrifying. His wife gives him road head? Classy. He's still worried about his wife having an affair directly after calculating that he only has two weeks to live? Who gives a s**t at that point? It's basically just the story of stupid people making incredibly stupid judgments, and therefore we don't care. Generally if I'm going to read your Wikipedia plot summary, it's because I'm intrigued by the movie but don't have the stones, if you will, to actually sit through it for two hours. It's a win-win: I can appreciate the film (to some degree) while not having to sit in a theater cringing at the tough parts while three 12-year-olds nearby laugh at me. I say all of this because I'm pretty sure I could sit through "Silent Hill: Revelation 3D" without much effort. I'd be a slightly worse person exiting the theater (because the movie blows), but at least I could do it if I wanted. Why? Because I just read the first three paragraphs of its Wikipedia plot summary, and I've been less bored in the waiting areas of various local DMVs. Yes, I've seen "The Sixth Sense." I've sat down and watched the whole movie, like a big boy. Multiple times, even. Perhaps that's why its Wikipedia page plot summary doesn't really do it for me. Director M. Night Shyamalan (back in the late '90s, when he was 'roiding) creates an undertone of sadness and desolation and fear throughout the movie, and you aren't going to get that reading its Wikipedia page. I'll say this, though: the surprise ending — wherein Bruce Willis turns back at Haley Joel Osment and says "Yippie ki yay, motherf**ker," thus revealing himself to be John McClane from the "Die Hard" movies — still hits you like a ton of bricks. The first sentence of the Wikipedia plot summary for "Sleepy Hollow" loses me almost instantaneously: "Ichabod Crane is a 24-year-old New York City police officer in 1799." No. He's a schoolteacher. I can say "Johnny Appleseed is a Formula 1 driver in Liechtenstein," but that doesn't make it plausible. Let's continue: "Threatened with imprisonment for perpetually defying the traditional methods of the department for his fanaticism of forensic investigation considered to be trivial by his colleagues ..." Again, no. 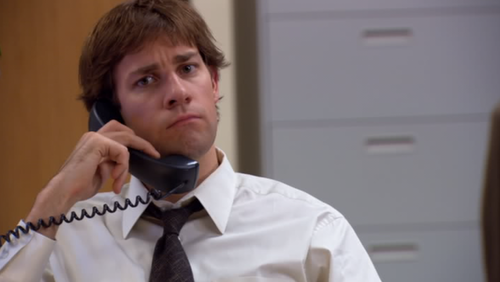 Worth noting: A really good way to lose me as a fan of your Wikipedia plot summary really quickly is to have to preface the plot of the movie with a preexisting "truth" that's going to have me make the Jim Halpert face at my desk. I am again forced to miss out on some sweet decapitations in later paragraphs. The running gimmick that is the "Paranormal Activity" franchise relies on people being in the actual theater mutually freaked out together (a la "The Sixth Sense," to a degree), so it doesn't lend very well to light Wikipedia reading. Dust falls on a shadow after an earthquake! Imagine that! See, that's the thing: Another perk of reading Wikipedia plot summaries is the fact that I can freely talk a bunch of s**t about plot twists because I'm reading about them after the fact instead of experiencing them in the moment. It's truly delightful. And if you're wondering why I put "Paranormal Activity" in the "Scariest" article and "Paranormal Activity 3" here, it's because I THOUGHT THIS WAS 'MERICA. The appearance of "One Missed Call" on this list marks the beginning of the truly ridiculous among Wikipedia plot summaries. You get the feeling that the good-natured writer was shaking his or her head and sighing the whole time while detailing this movie's plot. "Beth Raymond is terrified by the deaths of four people, Shelley, Leann, Brian, and Taylor, after they received chilling phone calls apparently of themselves in the future, showing the exact time of their deaths." Who are Shelley, Leann, Brian and Taylor, besides the names of the characters of the next popular Disney Channel show? Why does Beth Raymond care? We'll never know. And friends, it only gets more brutal. Bonus points for the not-at-all scary poster, which looks like a painted-over Jeff Goldblum or Martin Landau mask. Kind of devastating. Oh, right, and also that pesky "massively stereotyping two large groups of people in one movie title" thing, which, A+! The Wikipedia plot summary for "The Blair Witch Project" reads like a transcript of one of your buddies who is historically terrible at telling stories — particularly really long, detailed ones — telling a really long, detailed, terrible ghost story. It's long and boring enough to be assigned as a summer reading assignment by a particularly spiteful high school English teacher. Basically, I had the same reaction reading it as Brian and the blind guy did watching it, except in this case, I'm "the audience."